Members and key industry personnel are kept up to date via EIC Online (weekly) and the EIC Monthly News. This is available as a printed copy or an emailed PDF and is accessible via the website as an eBook, providing hotlinks to members websites. These publications can also provide members with a unique marketing platform. Members are encouraged to submit articles for inclusion to assist in promoting their products and services. 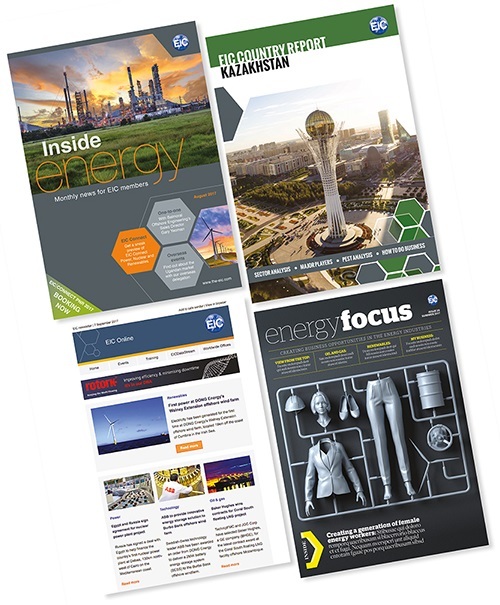 Each of the UK and overseas offices produce a monthly email regional Newsbrief containing industry news and articles of interest across the energy sector worldwide.